After a major accident in Kolkata, at least one person died and 25 injured in south Kolkata after a portion of the Majerhat bridge collapsed on Tuesday. However, there is no possibility of others trapped under the debris of the bridge, said the rescue officials. However, Police officials said that the clearing operation will continue till Wednesday. Meanwhile, the West Bengal Chief Minister Mamata Banerjee was on her three-day visit to the Hills and after the accident, she said that she will be cutting short her visit and also ordered a probe by a high-power committee which will be led by chief secretary Moloy De. Mamta Banerjee has also ordered to take a strict action against those whose negligence brought this casualty. However, this 50-year-old bridge, which was located adjacent to the Majherhat railway station and its maintenance responsibility was in the hands of the state Public Works Department (PWD). The bridge connected the city to the southern fringes and also an important connection between Behala and Kidderpore. Also, a police officer said that the traffic movement has been suspended at Diamond Harbour Road in Taratala area. Traffic movement from various parts of South 24 Parganas and Behala area in the city are being diverted from Diamond Park area. Before two years the collapse of the under-construction Vivekanand flyover in Kolkata that claimed over 20 lives. 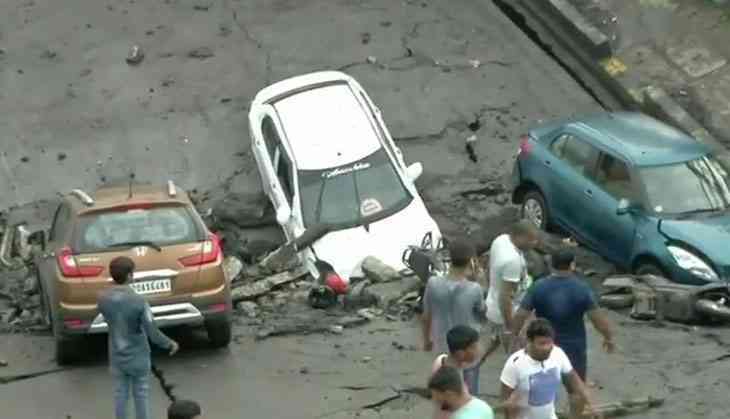 Also read: Kolkata Bridge Collapse: Here are the horrific pictures of 40-year-old Majerhat bridge collapses that will blow your mind!